I first became interested in investing while in high school. At that time, I became familiar with the basic outlines of stock investing and technical/fundamental analysis. However, I was not legally allowed to start trading yet and did not have a substantial source of funds to trade with. Once I graduated from college, I got a job and started to build up my income. I had a considerable amount of money left over after taxes and expenses for the first time in my life. I knew that I had to put it to work. Trading, investing, and getting into the market was definitely the best option. The stock market brings billions of dollars each year to the pockets of people who invest. Savings and checking accounts only bring in a few tenths of a percentage point of interest. Forex and commodities trading would have been incredibly difficult for a relative novice. If I ever hoped to gain enough money to do the things I wanted and eventually retire, I knew I would have to get involved in stocks as soon as possible. But the idea of the stock market was complicated. I knew that many people had lost a considerable amount of money during the financial crisis. Some people lost their entire investment portfolios due to bad decisions and companies going broke. The financial world is full of terms and instruments that are hard to navigate. A simple mistake or a bad bet can lead to an investor losing thousands of dollars. I did not want to jump in all by myself. This hesitation is the main reason why I began to look for information platforms that would help me better understand and navigate the market. I wanted to find tools that would facilitate my desire to invest while also minimizing growing pains. Fundamental analysis, with its logic of income and earnings ratios, seemed relatively simplistic to me. I knew that I could understand and eventually navigate that approach to investing. But technical analysis was much more difficult and complicated. Statistics always seemed difficult to me in school. The candlestick graphs and obscure patterns of technical analysis appeared daunting. I wanted to find some way of learning about these concepts outside of a textbook. I also wanted to discover platforms that would help bring in and use real-time information from other users about how they became successful with their trades. Tradingview turned out to be one of these platforms. Tradingview gives tools and guidance to any individual who needs help navigating financial markets. There are number of people who do not have a degree in finance and do not know everything there is to know about stocks and similar investment vehicles. These people may have a large amount of money or small amount of money. The money must be disposable income that the person does not need to pay bills or take care of family members. However, these disposable funds often do exist in people’s accounts to some degree. These people work in all different sectors of the economy in all different kinds of jobs. Many of these jobs have investment vehicles that match contributions to a retirement account. Workers receive 3-5% of their income free from the country if they contribute that match to their retirement accounts. This is a clear incentive for millions of Americans around the country to invest. They may have thousands of dollars sitting around that they will have to put to work eventually. Other people are simply interested in putting a small amount of money to work in order to increase their income. Many people have rekindled their interest in investing after witnessing the massive cryptocurrency craze that has swept across the world in the past few years. Users want to find ways in which they can make a little money off of the craze without losing everything in a speculative bubble. Technical analysis along with news reports may help them navigate this field that experienced investors cannot even explain. They need a service that will facilitate their investments and improve their access to the market. People who are considering investing may not be certain of the amount they want to invest or the length of time that they will need to make those investments. Not all of these prospective investors are day traders who want to quit their job and do nothing but trade stocks or currencies. They may be interested in only a few aspects of technical analysis. Since this product comes in both a free and paid form, Tradingview can help them out as well. Interested users may try out the free service and eventually move on to a paid tier that provides greater attention and more services. Investing may be an attractive vehicle for millions of Americans to earn enough money to retire with. However, this does not mean that Tradingview is for everyone. Some groups of people should not purchase this product. Stock market investing involves a certain level of risk that some people are not interested in taking. An individual investing money must be prepared for the frequent instances where they lose a percentage of their principal. While most stocks that decline will often rise again in the long run, there are people who are simply not interested in the swings. They may be planning on retiring in the next two to five years and may have to go back to work if the stock or Forex market deteriorates to a high enough degree. These people may be better suited with bond funds or money market accounts that keep their risk extremely low. Such funds are not well-suited to the facets of technical analysis. They often involve individuals putting their money in a reasonable fund and then letting it passively grow over time. Serious investors do not engage in swing or day trading for funds that only garner a few percentage points of interest per year. People who only want to keep their money in those funds would not be interested in a product like Tradingview. It is entirely focused on navigating investments that involve simply too much risk. Another group that would not be interested in Tradingview is the millions of Americans live paycheck to paycheck with no savings. If an individual does not have any money in savings, they do not have enough money to safely invest. Putting money in investments would tie the money they do have up in either non-liquid assets or a fee-connected retirement account. They would not have enough money for emergencies and would have to put serious purchases on a credit card. Such decisions would not be financially sound and would be much more harmful than the positive benefits accrued from investing using technical analysis. These individuals should begin with a checking or savings account that they can easily access with no fees. A bank account will allow them to garner interest and reduce fees associated with depositing the checks that they will receive from either their job or the government. People can use bank accounts and simple financial vehicles to earn more than what they spend on a regular basis. They can eventually utilize that money to get involved in the stock market and invest in a product such as Tradingview. However, up until that time this product would not be particularly helpful. Tradingview is basically a platform that allows traders to analyze the market and then share and discuss their trades. The platform has to be accessed through a web browser that can handle complex charts and graphs. Once the user visits the website, it provides an interface where an individual can look at stocks and identify patterns through the process of technical analysis. Technical patterns such as a head and shoulders, broken trendlines, Elliott Waves (and many more) can be identified, highlighted and then published for other users to view. The promise of the company is that they will make you a better trader by giving you tools that you need to make the right trades – and they have a lot of tools! Tradingview also promises a particular view of the ideal trader. This view is essential for any platform that wants to help investors while also making money. The ideal trader is one who utilizes vast amounts of technical information along with fundamentals and news to make trades. They are also generous and proud of their decisions. These investors want to share their trades with the rest of the world so that their fellow investors can learn and make better decisions. Therefore, more and more investors will use the information of technical analysis and then share that information through a social network. Tradingview’s promise is that this process will result in better traders and a healthier investment ecosystem. Let’s get one thing clear; there is absolutely no reason to remain unregistered if you plan to use TradingView going forward. Signing up and becoming a registered member will take you less than two minutes – oh, and its free of charge. If you want to view charts as an unregistered users, you will constantly be reminded to register in order to continue using TradingView. A free membership will do just fine for most individual traders who simple want to monitor the markets every now and then. Should you require more than what the free plan offers, then one of the paid subscriptions might be a good fit. I have highlighted the difference of all levels, down below. This account will grant them access to the website’s platform. The Tradingview platform has two distinct areas. One of these is the technical analysis area itself. Users log into the service and type in assets that they want to examine. Assets include stocks, currencies, commodities, and virtual cryptocurrencies such as Bitcoin. Each interface makes a different list of relevant metrics available. For instance, the interface for trading stocks shows a graph of prices over time along with news feeds, valuations, and price-to-earnings ratios. Foreign exchange trading shows prices relative to other currencies as well as reports from central banks and relevant news stories. The commodity interface for gold, for instance, may show the price of gold over time along with an inflation news story and a story about the health of a gold mining company. Finally, cryptocurrency charts are displayed along with discussions of the mining of cryptocurrencies and different articles trying to explain their rise and fall. Simple language is used to cut through the jargon associated with this new technology. The user can then take that information to another website to make their actual trades unless they want to use the site’s limited brokers. Other trading websites will provide a basic amount of information that the user can then export back to their trading charts on Tradingview. This information includes the times that trades were made and the prices associated with those trades. Along with the ability for technical analysis, Tradingview also offers a social network that facilitates the ideas and decisions of investors. Tradingview models their approach to social networking on earlier networks such as Facebook and Linkedin. Facebook and Linkedin both have lists of friends and connections from which a user can message and view posts. There are news feeds and posts that go viral across hundreds or thousands of different news feeds in a short period of time. Tradingview is no different. When the user logs into their profile or visits the website’s homepage, they see a board with the top authors of the week. There is a section for news stories and then a display of some of the week’s most popular posts. Visitors can like posts, leave a “thanks” to the author, or make a comment on a post. Once a user has logged in and sent up a profile, they can also leave posts. On Tradingview, people post about their ideas for trading and different things that they have learned from the trading process. Successful and sensible ideas are often the most well-liked on the site. However, there is no guarantee that every highly-rated post will have the information that an individual needs for massive returns on their investments. Popularity, easily-read material, and humor can also go a long way towards gaining a higher spot in the site’s hierarchy. For instance, an individual may post a picture of a chart that points to a stock moving close to a resistance level. This term refers to a price that a stock has struggled to obtain over a certain period of time. The author of the post uses research in technical analysis to argue that the stock’s value will skyrocket once the stock overcomes its resistance price. He or she may even argue that this process will begin at a certain time. Followers and visitors may make comments on the piece that either agree or disagree with the idea originally posted. If the trade ends up working out, the individual may make another post showing that they were correct and that their idea had validity. Success leads to a greater possibility for more support within the social network on the website. Users learn more and more about who they should listen to and what ideas they should pick up on. Ideally, those users can take all of the collective information of the social network and use it to implement a successful trading strategy. There are several different types of predecessors to this product. A number of different websites offer help with technical analysis of stocks. Websites like Stockta and The Street give traders the most basic forms of technical analysis. The Street and Investopedia have taught users how to navigate technical analysis along with other sophisticated instruments. Investopedia is also one of the largest sources to find out the definitions of different terms. An individual could use the site to find out exactly what the difference between technical and fundamental analysis is. Users could use Stockta to look at numerous charts and graphs displayed alongside relevant news stories. Even Google Finance has charts and crafts that can allow people to see technical patterns and respond accordingly. In addition to charts and patterns, Google Finance shows price-to-earnings ratios, dividends/yields, and trading volume for thousands of stocks and financial instruments. This Google product can be found in the drop-down bar of the world’s most visited website. There were also social networks that allowed people to talk about their finances. Both Facebook and Linkedin have certain amount of financial discussion throughout. There are entire Facebook and Linkedin groups devoted to financial topics. Technical analysis often appears in groups of users on Twitter. Financial discussion can also be found in more casual outlets. An individual may teach their friends about proper methods of technical analysis through Facebook posts. These websites have visual uploading capabilities where a person can post about their most recent successful charts and trades. However, all of these predecessors were lacking. Websites that focused on technical analysis did not have an easy way for individuals to discuss their work with other people. Education may have been lacking. Many websites simply presented charts or drawing tools without providing proper context. Investors needed to go to other websites and resources to find out how to use the technical analysis website’s tools. If investors using these tools made mistakes, they had to own those mistakes and may not be able to fully recover. On the other hand, social media is often much more limited when it comes to discussing financial concepts. There may be numerous people on a Facebook page and a friends list who have no idea about the financial markets. A post trying to discuss technical analysis may go right over their heads. Discussing successful trades may turn off social media friends who look suspiciously upon investing in financial markets. Tradingview attempts to overcome such deficiencies and bring together these two types of websites into one convenient product. As previously mentioned, cryptocurrencies are a growing sector of the investing world. More and more individuals want to get involved and are considering devoting more of their portfolios to these instruments. More companies are accepting cryptocurrencies as payment for their products. New cryptocurrencies emerge every day. It is difficult for many investors to gain a hold of how to handle legitimate currencies. Tradingview offers a growing platform for these new instruments. There are different sectors and technical charts available for Bitcoin, Ethereum, and other prominent cryptocurrencies. Currencies are evaluated based on their acceptance in the wider financial world and their treatment by regulators. A currency’s price may also spike if a prominent investor released an interview in which he or she determines that a cryptocurrency is gaining or losing in value over time. As these currencies become more prominent, the platform’s commitment to cryptocurrencies will only continue to expand. The tiered cost structure is a major pro for the platform. There are both free and paid versions that offer a different series products for different levels of investors. Many services that are purely focused on trading charge a certain amount per trade and then an extra amount for any technical analysis tools that accompany the trade. Tradingview avoids all of those concerns with its free platform. The free service has everything that the most basic investors would need. Free services include charts, information, and basic tracking tools. An individual who is only investing a few hundred or thousand dollars will not require the considerable amount of analysis needed to follow four or five charts at the same time. They could start learning technical analysis and accumulating funds that could then make the process more worthwhile. Pro investors can receive more interactive charts and an unlimited watch list. This watch list shows the assets that the Tradingview platform believes will continue to gain significant ground in the immediate future. Pro Plus and Premium offer even more available tools. There is no worrying about the company making money on their free services, however. Every user who does not pay for the service will have to view a certain number of ads during their trading. For many users, these ads will not be much of a burden. They do not overwhelm the user’s view of his or her charts. This ad package will mean that investors interested in the free version of the product should not be worried about the free section being removed anytime soon. The ability to have numerous trials and free charts allows investors to become attached to the product before they spend money in the long term. There will surely be some users who only stick with the free version and do not need anything more. However, it is always better to try out a product before using it so investors will be sure that they need what they are about to pay for. Another pro for Tradingview is the website’s multifaceted use. Combining numerous types of trading can be complicated. The number of watch lists and possible patterns in every chart is phenomenal. Any company that sells a product specializing in these charts will face challenges to showing the product for the average user. Tradingview does this better than its competitors. As previously mentioned, the interface can even facilitate the use of Bitcoin. Cryptocurrencies are known for their complexity and their difficulty of use. Many of the platforms that utilize Bitcoin are cumbersome, new, or inherently disheveled. It takes a considerable amount of skill and finesse for a company like Tradingview to allow users to trade these cryptocurrencies with the small amount of headache that currently exists. Perhaps the most important pro of this entire product is its grounded nature. The world of technical analysis is often one that appears jumbled and confused. Even the best websites and platforms are often filled with technical jargon and schemes that are divorced from reality. While fundamentals deal with the inputs and outputs of the company, technical analysis uses statistics and projections that may not seem sensible to the average viewer. Tradingview understands this dilemma. It is not meant to be a place for pure statistical analysis of the stock market. It is mainly a tool to help investors using any opportunity available. This philosophy comes through in their attempt to bring in data outside of pure charts into their product. Hot List, a news feed, and intuitive splits and dividends all ensure that the user keeps their money and the companies that they follow in mind. Splits, for example, can involve companies changing their stock prices in a hasty way that many investors need to interpret and analyze. The individual needs to look at the possibilities opened up by the split and the reasons that the stock split. Tradingview offers a way in which investors can track these developments. In this way, the website is attempting to allow investors to be a successful as possible. Technical analysis of charts is just one of the many areas in which this site excels. Tradingview is not a perfect product, however. One strong con for this product is its difficulty in assessing and determining risk. Many of the products that Tradingview supports are inherently risky. Some may involve the possible loss of all principle. An individual could lose their entire life savings investing in certain stocks of companies that go under. There is a certain assumption that every trader on the site knows these risks. Bitcoin is an incredibly recent investment vehicle that was created by an individual who has never been identified. It is part of a field where constituents appear and disappear overnight. However, the site is not fine-tuned to the needs of an early investor who may need to become aware of those risks before engaging in risky speculation. Methods of trading in commodities, such as futures contracts and derivatives, may be beyond the grasp of only the most seasoned investor. These contracts can involve leverages of 100-to-1 that a person with only a few thousand dollars can easily be wiped out by. Tradingview needs to do a better job of identifying and analyzing the nature of risks in these difficult areas of investment. Simple disclaimers about possible losses will not be enough to adequately address these concerns. It needs required education before using certain tools and investment vehicles. Rampant losses can lead to the development of a bad reputation and the loss of paying customers that the company so desperately needs. Another con is the decision for the company to focus so heavily on technical analysis. As most investors know, technical analysis is one of two ways of determining what stock and individual should buy and sell. Not every individual who looks at stocks utilizes this approach. The other approach is fundamental analysis. Fundamentals are the attributes that most investors believed to the overall strength of a stock. Examples of fundamentals include earnings, products offered, and leadership at a particular company. Technical analysis focuses more on statistical analysis of the stock and behavior associated with its traders. The site does not ignore fundamentals entirely. It does include a small section listing associated fundamentals for each stock. However, the decision to place the vast majority of the focus on technical analysis means that a considerable amount of good information that comes from looking at fundamentals will be lost or undermined. Many incredibly successful investors only use fundamental analysis and do not support other approaches to investing. Fundamental analysis may make Traders millions or even billions of dollars around the world. Tradingview’s decision to instead focus on technicals shows a decision that may be incomplete in the long term. The change would not be complete either. There is a way to incorporate more of fundamentals into analysis that the way that Tradingview uses. The third major con with this product is the prioritization of popularity over substance in some cases. Social media is often driven by popularity and an understanding of an internet population. As the recent controversy over fake news on Facebook shows, the most popular pieces of news and information are not always accurate. As a result, information often becomes visible due to its popularity and not its utility for the average investor. The social network aspects of many parts of Tradingview help to exacerbate this problem. On the website’s front page, there is a list of some of the most popular users and posts. The posts are sorted according to views and likes. Some of the posts and usernames by users are far from professional. A provocative or controversial post may garner more attention and end up higher on the front page than a post designed to help make visitors more money. In this way, the social media aspects of the website can sometimes undermine the aspects of the website that make users more money. Users will abandon the site if popularity and funny profile names undermine their ability to make more money. One of the most helpful features of this product is the ability for comparison. The charts that allow for technical analysis on this website are helpful in their own right. But they can be made even more beneficial by the ability to compare different charts and trades the same time. The flexibility of the website allows technical analysis to be done on numerous types of trades from Forex to stocks and commodities. There are different reasons to own these types of assets and to trade them. Sometimes, the actions of one influence the actions of another. Being able to see all of these factors at the same time allows a savvy investor to pick and choose their trades. An individual can analyze the effects of an interest rate increase on a number of different trade possibilities and use that information to make the best rate possible. A prominent benefit of Tradingview is the ability to model and backtrack on trades. One critical component of learning is practice. When beginning with sports and most hobbies, practice helps an individual hone their skills and perfect their form. Much of this practice happens with little risk outside of the public eye. A basketball player may take thousands of ugly shots in order to fine-tune their skills and eventually play well in a live game. Trading usually does not offer these same opportunities. In order to learn how to trade stocks or currencies, an individual may have to put up hundreds or even thousands of dollars that they will necessarily risk. Tradingview’s scanning and backtracking feature allows investors to engage in this practice that is so necessary to their eventual success. Users can quickly and painlessly initiate trades for certain stocks that are based on previous patterns. They can see how their trades had performed at previous time periods and during previous technical patterns. For example, a trader may see that a stock is in a successful head and shoulders pattern and may be considering a $1,000 trade. Tradingview’s tools allow the trader to see how a $1,000 investment would have worked the last five times the head and shoulders pattern was oriented in a similar way. While past performance is not indicative of future results, backtracking can help identify trends and the ways in which certain stocks respond to pressures that may come up again in the future. Another key feature of the website is the social aspect. The platform allows its users to go beyond private analysis of stocks and into the world of social media between those interested in finance. Users can post their trades and contribute to forums about the trading process. Each user has a profile where they can list likes and interests in the manner of every other social network. The possible benefits are that of any team that engages in collaboration. Groups of investors can share ideas and help each other learn from individual members’ past mistakes. An investor can avoid a major roadblock simplify by consulting the other people on the platform. Also, many of these platforms are so large that competition is overridden by the desire to share what works with other users in the hope of making as much money as possible. Social interaction aids the process of technical analysis primarily by contributing information. Information can be gained from peers just as easily as from trade publication and news reports. Freestockcharts- this website offers the basic charts and chart manipulation that Tradingview offers. Users can take a look at numerous charts for different stocks and track the progression of stock prices over time. The charts are presented with delayed data and come with a large amount of educational materials. Every user of Freestockcharts has access to a PDF which shows users the basics of technical analysis and how to use the site. Visitors can utilize drawing tools and save features to make the most out of the website’s product. Completely free. All aspects of this website are free to the user. The website and its products run off of ad revenue. This feature may make the site a helpful alternative to those who cannot afford the monthly fees of higher tiers of Tradingview. Individually tailored. Freestockcharts focuses solely on the education and possibilities of the individual investors. Tradingview, on the other hand, compares the information from technical analysis with the opinions and ideas of thousands of other investors in a social network format. Many investors see their ideas and their picks as a private exercise. They may not want hundreds or thousands of other investors to be aware of the ways in which they are making decisions. In that case, a more insular trading platform like Freestockcharts may be good for them. Clear and simple. The platform has fewer options and tools than Tradingview. Its homepage is much easier to navigate. Users who sign up have a limited number of tools they can use to analyze stock graphs. The same is true for users who want to analyze Forex trades. Fewer options means less clutter and easier capabilities for users who may only want to look at a number of variables and statistics before making a move. Freestockcharts is a clean, individually-focused stock chart platform. It would work for any user that wanted to prioritize their individual stock trades and opinions over the wisdom of a crowd. For users who prioritize simplicity and individual trading, Freestockcharts is a good alternative. ETRADE Pro- ETRADE Pro is a technical analysis tool used alongside ETRADE software. The company offering this product is one of the leaders in the field of online stock trading platforms. ETRADE Pro is meant as a sophisticated tool to help users of their trading platform better understand and analyze their trades. This tool offers stock analysis, real-time news feeds, and Forex charts along with a connection to a live trading platform. Connection with a full-service trading platform. ETRADE Pro has the clear advantage of being linked to a full-service trading platform. 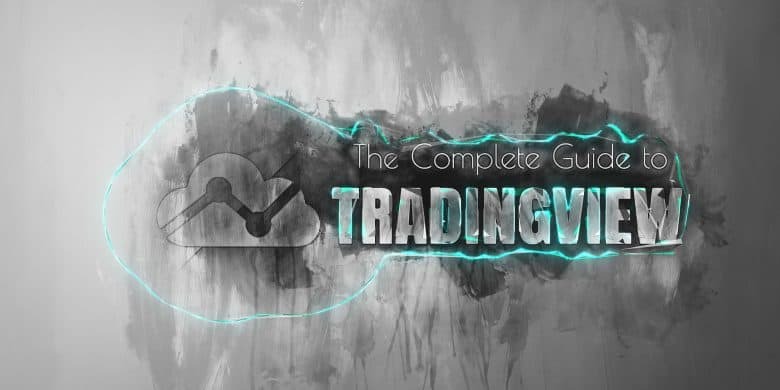 While Tradingview has many charts and analytical tools at the disposal of the serious investor, there are only limited ways for an investor to directly buy and sell stocks through the website. ETRADE Pro has analytical charts that can be connected to trades that a user makes. Therefore, ETRADE Pro also has a full range of services that aid a trader. These include the ability to explore options and carry out limit orders. ETRADE Pro will definitely appeal to investors who want to analyze and trade on a single platform. Professional display. The display of ETRADE Pro is even more professional and detailed than that of Tradingview. There are no free attributes or social media sections that crowd out trading tools. Some users may not want to see what other people think or believe about stocks and trades. This need is exacerbated by the fact that ETRADE Pro is only open to those who make a large number of trades or have $250,000 in their accounts. The platform is only for serious investors, many of whom believe they already know the ins and outs of the market. A clear display focused more on charts that on social media posts may appeal to these investors. Extra features. Due to ETRADE Pro’s more professional position, the service has features that are not available on Tradingview’s platform. One of these is the smart forecasting tool. ETRADE Pro’s forecasts use expert analysis to help the individual project future decisions and trades. This service may be more palatable to professional investors who need forecasts along with their trades and charts. ETRADE Pro has a number of professional services and features for the experienced investor. It also has the ease of combining a technical analysis tool with a full-service trading platform. Professional investors who prioritize these features and the combined platform may want to consider ETRADE Pro. Metatrader is a similar platform to Tradingview in that it provides charts and technical analysis. It was originally devised for the usage of Forex and has been on the market through several different iterations. The Metatrader platform is downloaded onto a computer and helps users make trades and navigate complex Forex and stock trading topics. Forex focus. The original Metatrader focus on Forex trades is helpful for some Forex investors. These trades are complex and often occur on a day trading basis at high levels of leverage. An individual may have tens of thousands of dollars or pounds in every trade when they have only invested a few hundred dollars. The risk and knowledge involved means that they are not often for the average trader. Tradingview does provide a platform and help for Forex traders. However, the platform was not originally optimized for Forex trading like Metatrader. This service allows for charts, graphs, and news feeds that are optimized for the usage of foreign exchange trading. Investors who are seriously focused on Forex trading may prefer this product over Tradingview. Combined platform. Forex analysis is also easier on this platform because it allows for Forex trading. While Tradingview allows an investor to plan and make a limited number of Forex trades, Metatrader allows investors a much greater range of for trades. The platform is also connected to stock trading. Stop loss orders can be used to minimize losses and put the knowledge acquired during technical analysis to work. This product would be helpful for any investor who wanted to study and perform trades without having to explore multiple products or interfaces. Individual approach to investing. Metatrader’s approach to investing focuses more on individual ideas and decision-making. It is hosted in a piece of software downloaded onto an individual’s computer. Metatrader does not have the social media aspect of Tradingview’s user interface. Tradingview’s interface is based in the browser and appears similar to other social media websites. With Metatrader, however, investors cannot post ideas or trading strategies on any sort of sophisticated forum or news feed. In this way, Metatrader definitely prioritizes the decisions individuals make given the tools of technical analysis that the software provides. Sophisticated investors who want to prioritize their own approach to investing might prefer this product. Metatrader’s combined platform, downloadable software, and Forex focus make it appealing for professional investors who specialize in Forex trades. These professional investors can download one program that they can tailor to their individual needs. Those investors should consider Metatrader’s platform for both technical analysis and trading. There are millions of people who need help trading and analyzing their trades. Complications arise when traders attempt to invest their own money without information. They may use different tools and programs that they do not fully understand. Some investors may latch onto products that sound exotic but do not actually make anyone money. Buzzwords like cryptocurrency and derivatives may lure them into risky financial bets that end up costing thousands of dollars. Tradingview helps to remedy these issues. It provides all of the tools necessary for individuals to use technical analysis to figure out the best possible trades. The platform provides information to help traders learn what those tools do. In addition, the platform has a social network aspect that allows traders to learn from their fellow investors and post trades and other information in real time. Traders can learn what trading tools exist, how to use those tools, and how other people used those tools to great effect. A platform like Tradingview will help me to use my new income in a productive way. I can finally turn my interest in stocks and other investments into a money-making venture using technical charts and the wisdom of more experienced traders. This product solves my problems and allows me to take charge of my financial future. If you want to meet your investing goals and interact with other traders on a sleek platform, make sure to visit Tradingview today by clicking here.